You can’t make athletes do what they don’t want to do for very long. A coach can bully them for a while, but to truly fulfil their potential an athlete is going to have to be self-motivated. With enough motivation, they can achieve almost anything. Coaches all too often get focused on the specifics of the sport, training, tactics etc. But ultimately the job of the coach is to change their athletes’ behaviour. It is not the place of the coach to tell an athlete what they can or cannot achieve. A coach can only create the environment that enables them to find that out for themselves. An environment that makes success inevitable. While setting up their programme, a successful coach will have clearly thought through what they think is important; what their expectations are of their athletes and other coaches they may be working with. Culture is king; a coach creates and develops the culture in their programme. Once the correct culture is in place, it must be self-sustaining. They do it by clearly defining the behaviour they expect from themselves and others. They will be explicit about it. They cannot afford to be passive about this. All members of the squad or team need to understand clearly what they are buying into. A good coach will accept that the environment they create will not suit everyone. A coach will often enter into a contract with their athletes. It may not always be written down, but they will be very clear about what they are both trying to achieve. They do not need to have the same goals, but they need common ground on which to work. 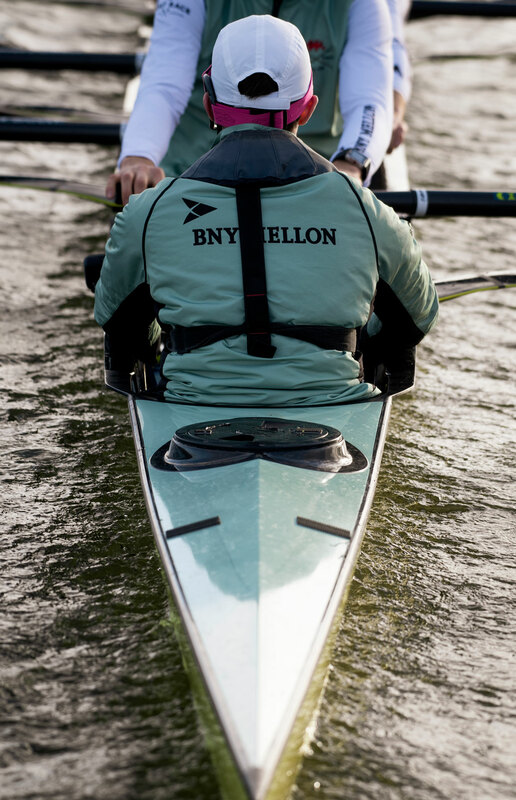 Rowing very much lends itself to ‘hard contracts’, this is where the goal is obvious and measurable. For example “We want to win the national championships next summer”. Sometimes the goal is not so clear, and maybe the athlete is not so confident about committing to the goal. They may not even vocalise it, for fear of failing to achieve it. In this situation a coach must be careful not to assume that they are on the same path. If the coach and athlete do not communicate openly and clarify their position with each other it will lead to friction, misunderstanding, disappointment and poor results. Straightaway there is a power imbalance in the relationship between coach and athlete. An inexperienced coach can easily fall into a parent/child relationship with their athlete. This can be counterproductive. To explain, we all have three ego states: ‘parent’, ‘adult’, ‘child’. These have nothing to do with age or family relations. It is purely a way of defining how we relate to each other. Within ‘parent’ there are two sub-sets: ‘critical’ and ‘nurturing’. Within the ‘child’ ego state there are also two sub-sets: ‘adapted’ and ‘free’. If a coach assumes the role of ‘critical parent’, telling an athlete a performance was terrible, then they will likely get either a passive response (‘adapted’) or a verbal challenge (‘free’). Either response may well not be useful. If they do not reply at all, and become a passive submissive athlete, that can seem good as they are doing what they are told but at the cost of inhibiting them from being a complete athlete. With a more vocal responder, a coach may receive an aggressive reply which leads to the coach making their own poor response, as they do not want to be challenged in front of their athletes. An experienced coach will be able to identify and defuse these situations before they have the chance to deteriorate. The best coach/athlete relationships operate in an ‘adult’ to ‘adult’ way. This is where the power balance is crucial. In order to bring the relationship to an ‘adult to adult’ state, the lead has to come from the coach. Even if the other party is behaving like a ‘child’, the coach will behave like an ‘adult’. By modelling this behavior the athlete will invariably come-round. The person in the position of power has to model the behaviour first. A good coach bears in mind that most communication is non-verbal. In fact 55% is body language, 38% is tone of voice and 7% is spoken word. A coach knows that what they say is not the most important thing. There is no point sounding positive, if your body language exudes negativity. The negativity might be due to an unrelated issue, but it still comes across. A less aware coach may inadvertently create a ‘parent/child’ interaction with their negativity. If the coach turns up like that every day athletes will of course get used to it, but when they then turn up in a good mood the athletes will become suspicious. The aim is to produce high functioning, self-actualising athletes who will do whatever it takes to be successful. They will be alert, punctual, driven, motivated, resilient, hygienic etc. But getting to that state is no small feat, and remaining there is just as hard. Using the model of ‘Maslov’s hierarchy of needs’ is a useful starting point. The model works on the premise that we are not long evolved from primitive man and our basic needs are key to our happiness. For example, an individual is not going to be good at training if they can’t afford to eat properly. This also applies to coaches. You need things at home to be in order for you to be good at your job. 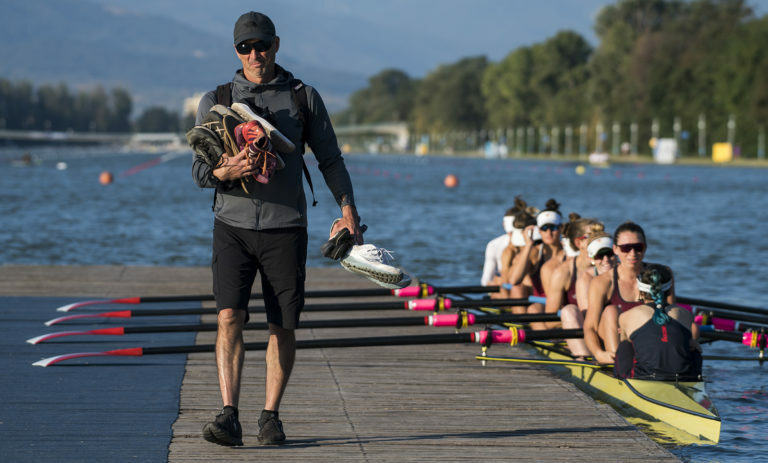 A successful coach understands that both they and their athletes need to have their lives outside of rowing in order. It is often the little things in life that cause the stresses that bring you down. • Your best athlete has been training like a demon and pulling personal bests, suddenly they are not performing well. This goes on for a while. Why is this happening? You find out that their girlfriend has dumped them. In one fell-swoop they have moved from self-actualising to being in need of safety and belongingness. Your job now is to provide those things, either through the culture in your group or more directly yourself. Only when they consolidate themselves in that place can they begin to build back up. • You have an athlete that is full of potential, you rate them very highly but they never seem to get to the level you expect of them. They are doing all the training, turning up on time, but it’s not quite translating. Then you learn that they are sleeping on the floor in their apartment because they can’t afford a bed. Until that situation is addressed they will not perform. Good coaches create a risk-taking environment within their programs. They ensure that athletes do not feel they will be punished if they make a mistake. This can be difficult to achieve, especially if athletes are aware that selectors are watching. In order for athletes to perform, they need to improve. In order to improve they need to learn. In order to learn effectively they need original thought and emotional involvement. Or in another words, a chance of ‘failure’. They need to be able to fail. A successful coach creates a testing environment that pushes individuals to fail. As soon as they do fail, the support to learn is there. That same environment also needs to push them to succeed. The coach creates opportunities for success, but again the support for learning is there. Good athletes are risk takers. Albeit calculating ones. They will take the biggest risks in training, so that they do not need to take them in racing. You begin coaching, you understand the sport, but you don’t know how to coach. You know how you rowed yourself, but do not know how to tell somebody else. In the beginning you coach others as you were coached, telling them what to do and probably resorting to showing them or even rowing with them. Your first step is to stop coaching yourself and begin to understand that others learn in different ways, and may actually be far more able than you. By coaching from your perspective, you are only limiting them. There is so much to learn, you don’t even know where to look. My advice? Speak to and spend time with other coaches. You now know what you are doing; you can write a training program, you have a series of drills that you really understand. You are organised and you are good at communicating and emailing. But…. 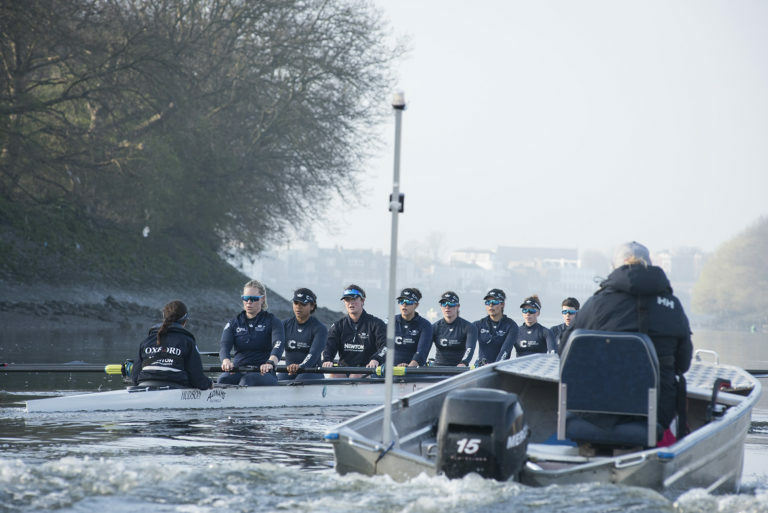 When you are out coaching, you see what is going on with the crew and you keep using the same drills over and over to try to make them row the way you want. You have been coaching for quite a few years now and you have seen everything. Nothing phases you. You write a clear program, which you are very happy to change on the fly when things present themselves. Others may not even understand why you change things, but you are confident that it is the right thing to do. You still have a series of drills, but sometimes you will encourage the athletes to come up with their own. 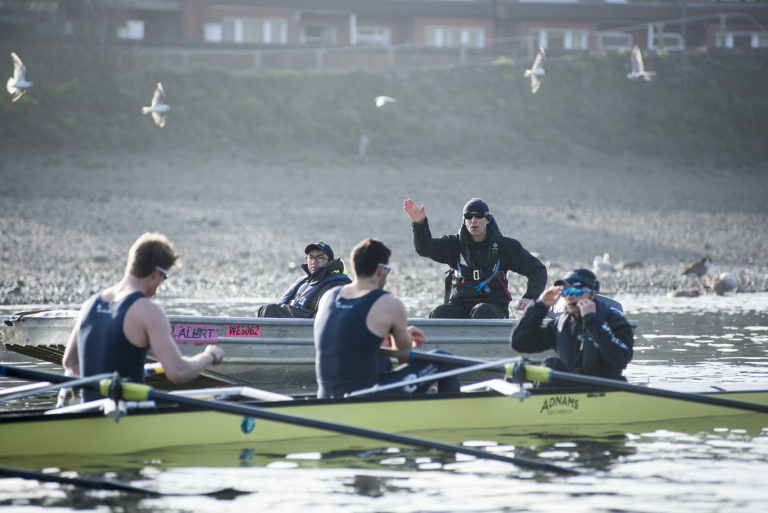 You understand that there is no one model for rowing, that you need to work with what you have and make sure the athletes are training well and are resilient. It is more important that they know how to train, that they turn up with a good attitude and are able to make crews go fast. 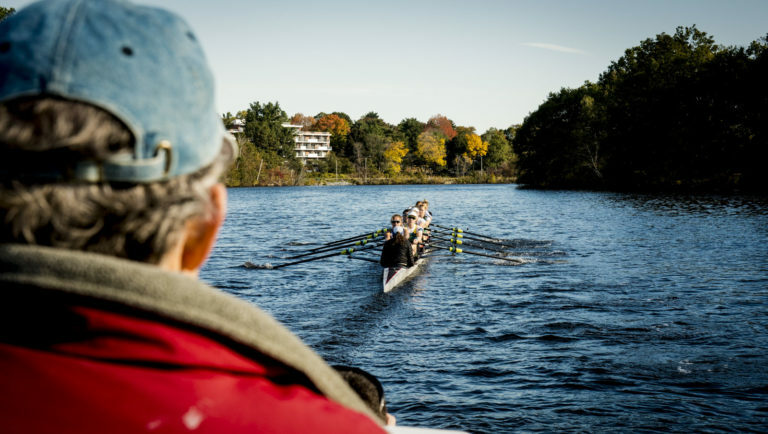 You are a wily old dog by now – you have coached more crews than you can remember. You have done this so many times you know how each season will pan out before it does. You know at least one of your athletes is going to have some sort of crisis and you are content to give them the space to sort that out and know that if they are the right athlete, they will come back stronger for it. It is very seldom that anything takes you by surprise. It is almost not challenging running a program – you can do it in your sleep. The athletes get great confidence from the stability of the environment and believe in the system you have created. It seems to run itself. Athletes need to be confident when it comes to delivering a performance. Good athletes – risk takers – are content to experiment and fail. Because you know this so well, you create this environment. You create a culture where the athletes regularly take risks in training. They often fail and you are there to support them with their learning. You deliberately write the program so that they are under extreme pressure to perform. In fact with the most robust athletes you may make them train harder during their final exams because you know the confidence they will gain from being able to do all the training, get a best in their 2k test and pass their exams all at the same time. The training environment is a place to learn and make mistakes, away from the performances that really count. When it comes to races, you have created an athlete that has taken all the risks already. On race day they know what to do and what to expect. They just do what they have practised and know they will execute under pressure. Success becomes inevitable.